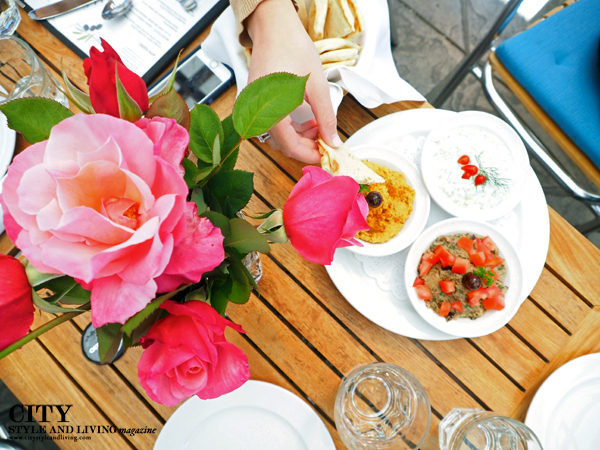 After a quick jaunt to San Francisco, we drove into Healdsburg, a mere 2 hour drive away and stopped for a quick Greek lunch at Taverna Sofia including tzatziki, baba ghanoush and hummus and a lamb gyro salad with greek olive oil, oregano, tomatoes, feta cheese and cucumbers. 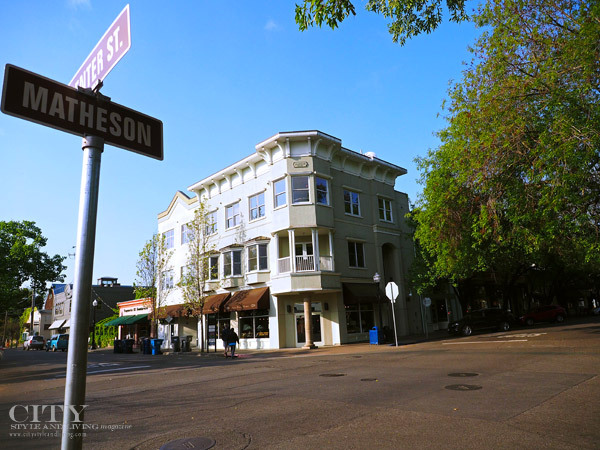 A look at downtown Healdsburg on a quiet morning walk - the best way to enjoy the city. 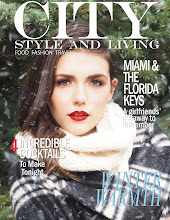 City Style and Living Magazine (CSL) hiked the 5-mile Half-a-Canoe Loop trail around Lake Sonoma. The blue lake and rolling hills reminded us of being in the alps. On a busy lunch day at Costeaux bakery CSL enjoyed a quick bite. You must try the bread here, it is crisp, chewy and delicious! Chickens (who lay blue eggs no less) at Alexander Valley Vineyards amongst the vines. wine straight from the cask to distinguish between American and French oak. 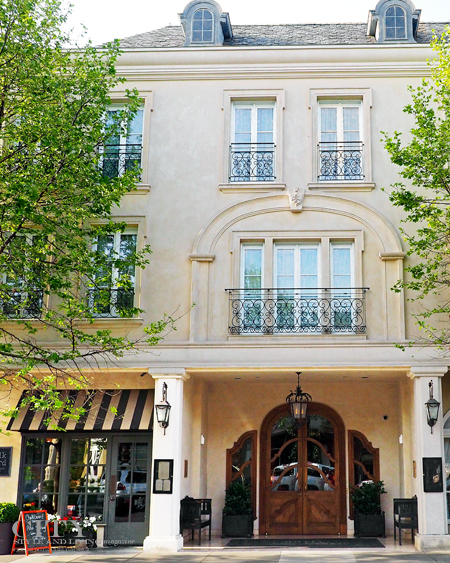 CSL stayed at the beautiful European style Relais and Chateaux Hotel Les Mars. Our grand king room with mahogony armoire and furnishings, marble shower and fireplace was tres Parisienne! 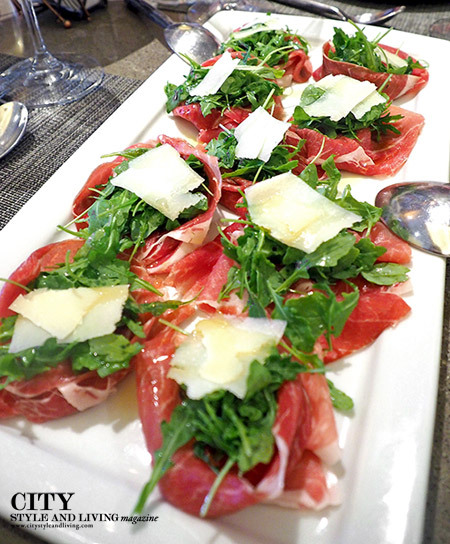 Prosciutto, arugula and parmesan served at Baci cafe and wine bar owned by husband and wife, Lisbeth Holmefjord and Shari Sarabi. CSL enjoyed delicious fresh and vibrant Italian style cuisine - the highlight was a fall off the bone lamb shank with sauteed wild mushrooms served on creamy polenta. 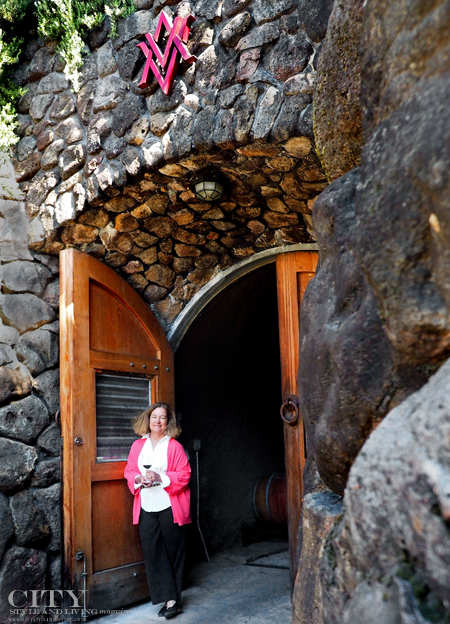 A happy worker at Dragonfly floral.The organic flower farm in Dry Creek Valley is breathtakingly beautiful with 1500 roses, and a variety of plants used in floral arrangements. 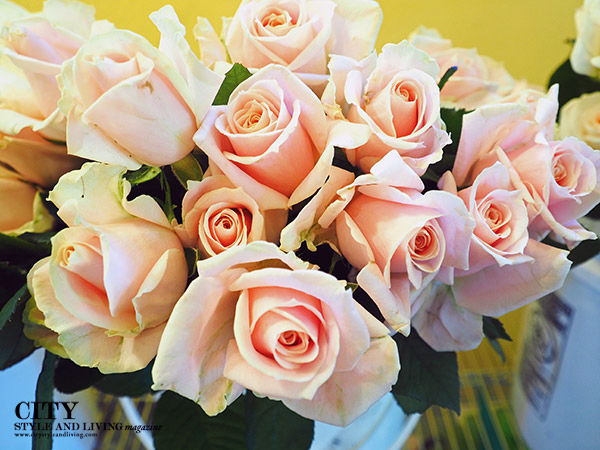 We had to be pulled away from the sumptuous array of fresh roses at Dragonfly Floral (can you believe the colour of these beauties? ), just in time to join our very own floral arranging class. A view from above at J Vineyards. A standout cheese plate (domestic and international) at J Vineyards. 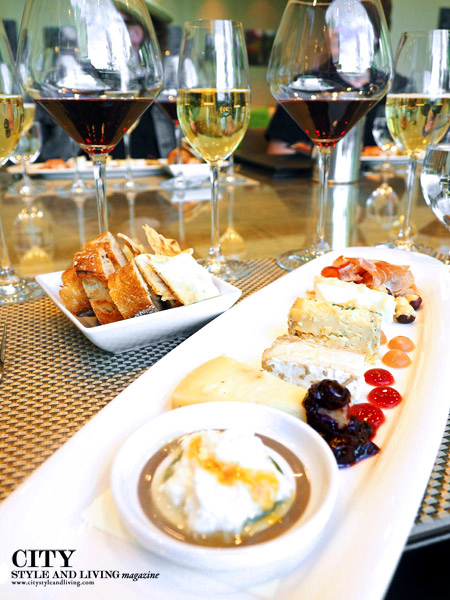 CSL sipped a selection of Pinot Noir and Sparkling wine in the bubble room. 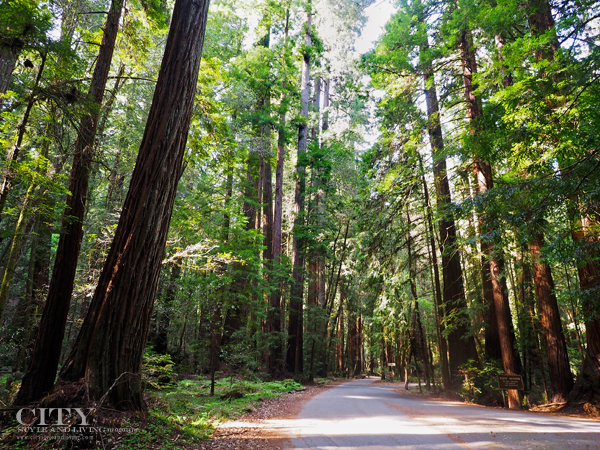 At Armstrong Redwoods State Natural Reserve, the giant redwood and sequoia are majestic. Though the park was busy with visitors there is still a serene peace and quiet in the park. 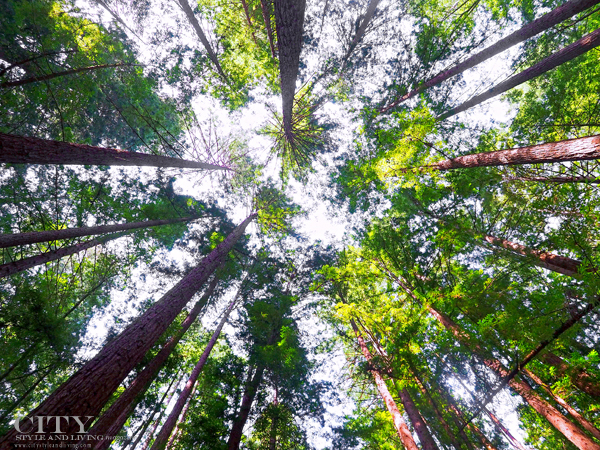 A view from below, looking high above at the Redwoods. Fresh oysters being shucked at the bar at Willi's Seafood and Raw bar. 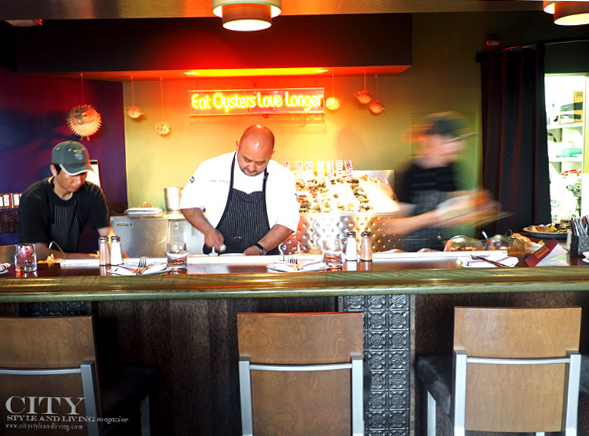 CSL enjoyed an array of delicious seafood including flash fried calamari with orange chili gremolata, crudo platter (tuna tartare, halibut ceviche and charred rare ahi) as well as dungeness crab cakes with meyer lemon tartar sauce and bacon wrapped scallops with tamarind bbq. 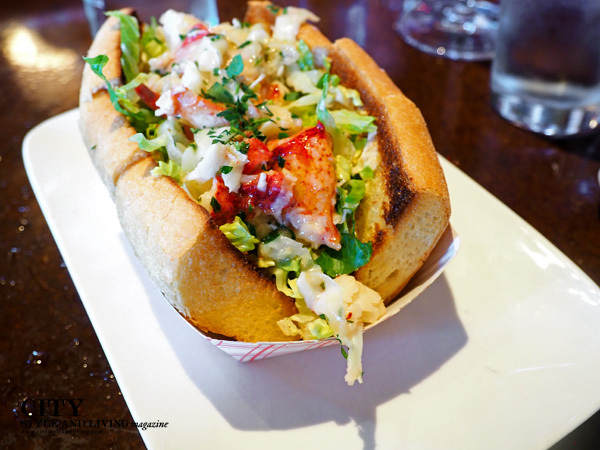 A mouth watering lobster roll at Willi's Seafood and Raw bar in downtown Healdsburg. 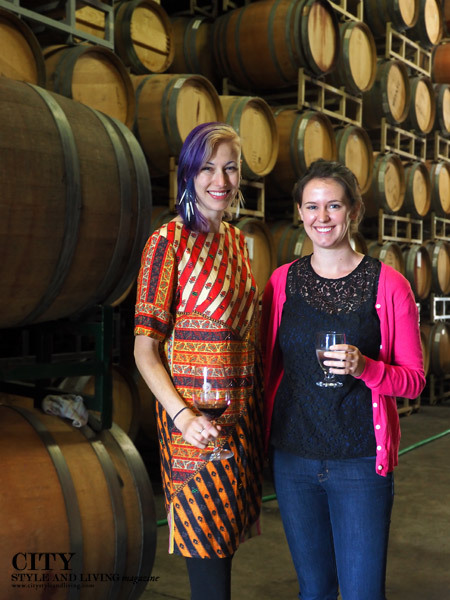 Sisters Victoria (winemaker) and Sydney of Wilson Winery and Soda Rock Winery. The view from Soda Rock Winery, and bottle of Cabernet Sauvignon. We enjoyed a picnic lunch (how a propos) and chatted with Victoria. CSL enjoyed a farewell dinner at Simi Winery. Chef Kolin Vazzoler, prepared an interactive, fresh mozzarella cheese making class before preparing a multi-course dinner that was stellar- beginning with an asparagus salad with lemon, kumquat, radish and egg served with SIMI's 2014 Sauvignon Blanc followed by stuffed pappardelle, ricotta, fava and peach shoots served with the 2012 Russian River Valley reserve chardonnay and ending with an opera cake with honey ice cream served with a sweet 2013 SIMI Russian River special select late harvest chardonnay. 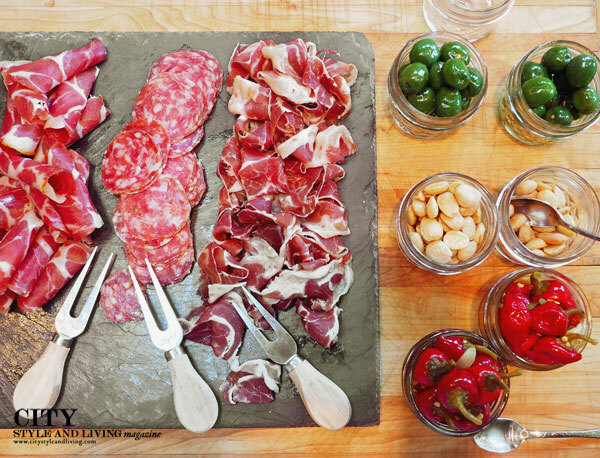 Chef Vazzoler showed a deft touch, and refined technique to create a truly memorable and outstanding sendoff. 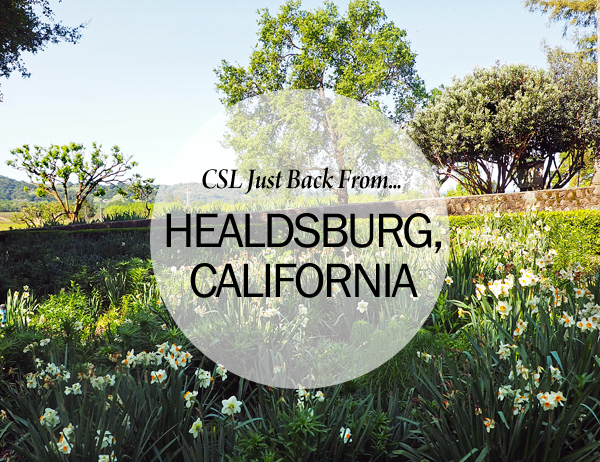 City Style and Living Magazine (CSL) is just back from laid back and cool Healdsburg, Sonoma County, California. Sipping a glass or two of wine, watching the gentle breeze whisper over the green vines with rolling hills in the background was how we spent several days. 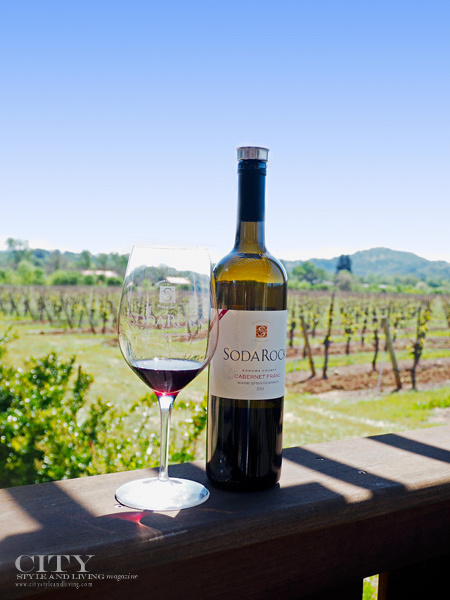 But don't think Healdsburg is just for wine lovers, there is plenty of shopping, hiking, biking and restaurants to fill your days here with plenty to see, do and enjoy. 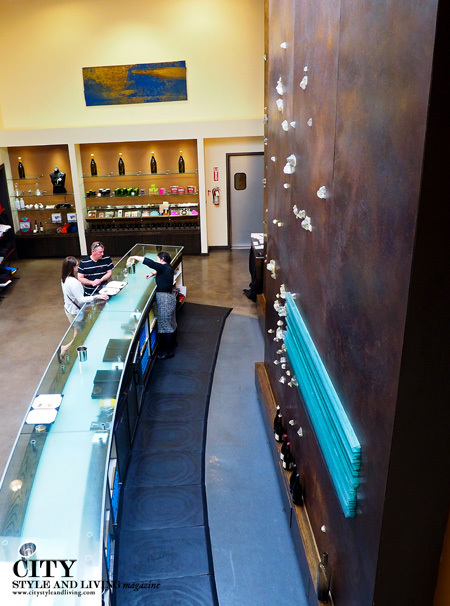 Healdsburg's quaint downtown is easily accessible by walking and the main square is a relaxing place to people watch. 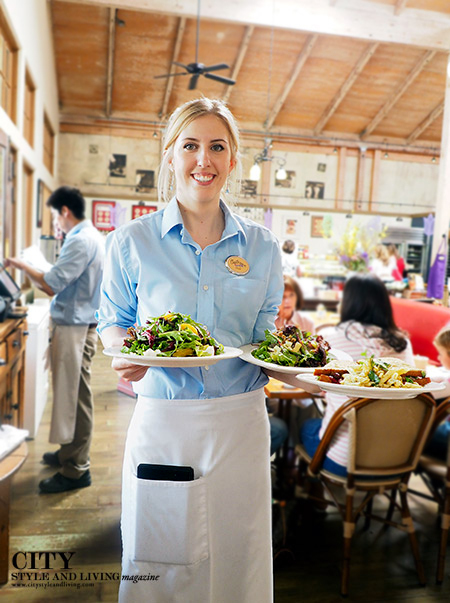 Look out for more on Healdsburg California in an upcoming issue of City Style and Living Magazine.